Any idea that the new Pacific Solution is really about saving lives at sea has been exposed as the shameless lie that it is by the latest tragedy at sea. 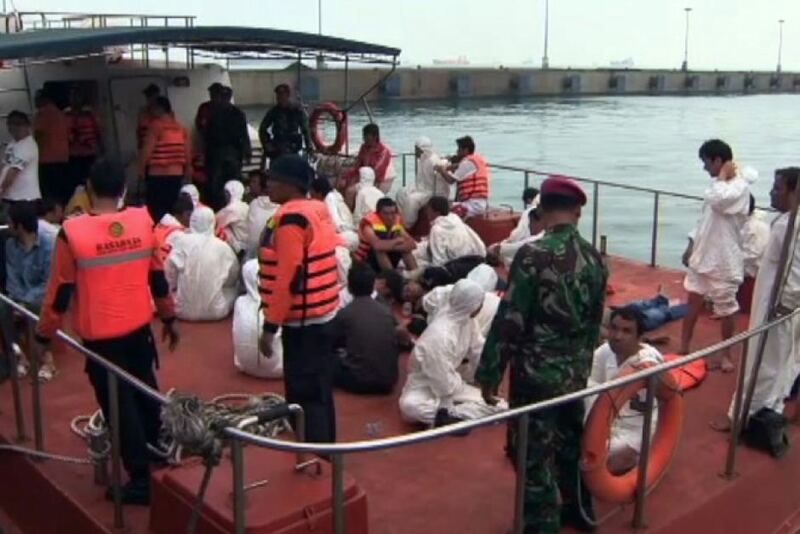 Around 95 asylum seekers drowned in the Sunda Strait in the last week of August. Australian authorities knew about the boat’s distress call at the same time as Indonesia, but left it to their notoriously ill-equipped search and rescue authority, Basarnas, to look for the asylum seekers. Basarnas received a call at 1.15am but cannot search at night. They sent a search party at 7.15am but called off the search before the end of the day. Australia sent a plane that subsequently turned back because of fuel concerns and never went again. Survivors have explained that up to five commercial ships passed them clinging to debris in the sea and ignored them. The first survivors were not picked up until 48 hours after the initial distress call, and more were rescued later that night. Now, Gillard has allowed Indonesia to take the survivors—who were bound for Australia—back to limbo in Indonesia, where they face an uncertain future and the threat of Indonesian prison. One of the survivors is a ten-year-old boy who lost his father, uncle and brother at sea. Disgracefully, Home Affairs Minister Jason Clare used the opportunity to warn asylum seekers not to come to Australia by boat because it’s “a ticket to Nauru, or a ticket to the bottom of the sea”. Does the government now consider deaths at sea another plank in their deterrence agenda? This latest avoidable tragedy comes after more revelations about Australia’s culpability for the June 21 boat sinking that took 93 lives. Australian officials have been stressing that Indonesia took responsibility for the boat—but now we know, not only that Australia knew the boat was in distress for 41 hours before rescue authorities did anything, but also that Indonesia approached Australia for help a full 29 hours before the boat capsized.